Download the DLL-files.com Client here. When you register the Client with your license key, an id is generated that identifies this unique computer, based on the current hardware setup. This error message, means your current id does not match the id registered in our license server. Either the Client is currently registered on another computer, or there has been a change to the hardware setup in this computer, making the Client not recognize it. Contact support to unlock license key. If a dll file is in use, it can not be overwritten. If a file is in use, it is definitely not missing, and probably not corrupted. Try re-installing the program producing the error. In XP: Go to the start menu - "Settings", then click on "Control Panel", then “Add or remove programs”. Select DLL-files.com Client from the list, and press “Change/remove”. All other Windows versions: Go to "Programs and Features" and then “uninstall a program” in the Windows Control Panel. Select DLL-files.com Client from the list, and press Uninstall. This is usually caused by firewall and/or antivirus software. 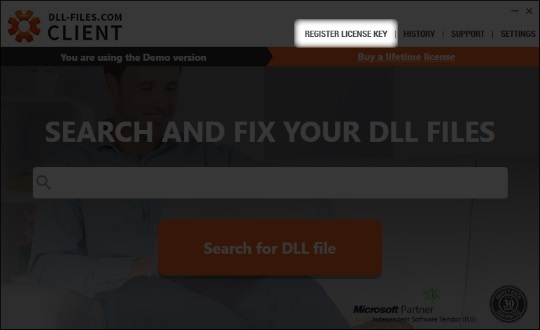 You can add the DLL-files.com Client to the ignore list which is a common feature of most such software, or you can disable it for a few minutes while registering the DLL-files.com Client. Can I get a refund? The DLL-files.com Client did not meet my expectations. Currently we offer a 30-day Money Back Guarantee. To get a refund, contact support, and remember to include your purchase reference number! You can find it in the confirmation e-mail you got after you purchased DLL-files.com Client. Your lifetime license can be used on one computer at a time. To move license from one computer to another, contact support. 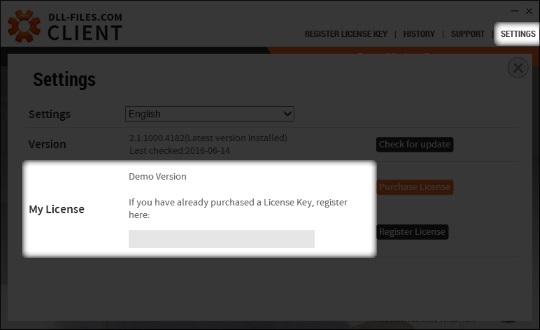 I have purchased a license, but can not find my license key! Some payment options are considerably slower than others. For example, a credit card payment is almost always instant. A PayPal transaction may take several hours to process, and a wire transfer can sometimes take 5-10 business days. The mail with your License Key is not sent out until the process is completed and the money has been registered in our account. You can also get your license key re-sent to your email address used during purchase. I can’t find the file I’m looking for in the DLL-files.com Client! What can I do? Request the file here. When/if the file becomes available to download, you will be notified by email. 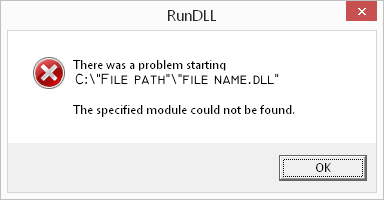 What if the DLL-files.com Client does not help me solve my dll problem? If the DLL-files.com Client did not help you with a dll-related problem, contact support for specialized help. If you are unsure about how to extract your zip-file we recommend using File Viewer Plus 2. With it you can open your zip-file as well as over 300 other file formats (like video, music, images, pdf etc.) It’s a handy tool to keep around. DLL files can be shared between many different programs. If you remove a program using an uninstall utility it might remove all files it installed during the installation process, including DLL files shared with other programs. An install or upgrade might have failed, leaving out some needed files. This might also happen if you manually copy the files of a program from one location to another, without using the proper setup process. Because of the way DLL files work, many of them are included by default in any windows installation. So, when you install a program, it assumes that the information it needs to run is already present on your computer. If a particular DLL needed for operation is missing or corrupted that program will no longer work. It will give a DLL error that you see on your screen. In most cases, DLL errors appear when programs or files are corrupted by viruses or other malware, or even removed by your anti-virus program after such an infection. Other situations may appear when a file is removed during uninstallation of a program or when removed manually by accident. But it could even be as simple as you trying to run an older program on a new computer, where the old DLL files that the program requires are not included by default in your new Windows installation. The opposite, trying a new program on an older computer is also a possibility for the same reason. DLL stands for Dynamic Link Library, which in short means it’s a library of information, or functions, that can be linked to from different programs that make use of the information in the DLL. It is dynamic in the way that it is a repository with often several hundred functions, and the program linking to it can make use of any of them, or all, as required. The benefit is that programs do not have to include every single function in its own files, instead using the shared DLL, thereby reducing the program size. A simplified example; ten different programs all need to show some form of button on your computer screen. Instead of each coming with its own button, they all call the same “showbutton.dll” that already exists on your computer. Since all ten programs use the same file, less space is used on your computer. In XP: Go to the start menu - "Settings", then click on "Control Panel", then “Add or remove programs”. Select DLL-files Fixer from the list, and press “Change/remove”. All other Windows versions: Go to "Programs and Features" and then “uninstall a program” in the Windows Control Panel. Select DLL-files Fixer from the list, and press Uninstall. Currently we offer a 30-day Money Back Guarantee. To get a refund, contact support, and remember to include your "Cleverbridge reference number"! You can find it in the confirmation e-mail you got after you purchased DLL-files Fixer. Some payment options are considerably slower than others. For example, a credit card payment is almost always instant. A PayPal transaction may take several hours to process, and a wire transfer can sometimes take 5-10 business days. The mail with your License Key is not sent out until the process is completed and the money has been registered in our account. My AntiVirus blocks and/or removes the DLL-Files Fixer, what to do? There seems to be a new policy about allowing a program access to the registry on a client machine that some Antivirus companies take a harder stance on. The "PUA" signature means "potentially unwanted application" and is a very low risk detection they set on everything they are not 100% sure about, until they have had a chance to do a more thorough analysis. We are currently working with antivirus companies to make sure that this detection is cleared as soon as possible. Why do I get an e-mail from Cleverbridge after I purchase DLL-files Fixer? Cleverbridge is our e-commerce partner taking care of transactions and License Key delivery for the DLL-files Fixer. This error occurs when you enter the wrong key, typically a simple misspelling. First, make sure you have correctly entered your license key. The best way is to copy and paste it from your purchase confirmation e-mail. 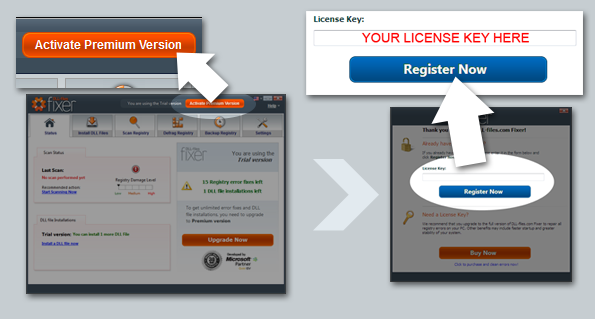 If you, for some reason, are unable to copy and paste your license key, please take a closer look at your license key. A common mistake is to confuse 0 (zero) and O (the letter o). Also remember that all letters in your license key are uppercase letters. If you still get an error, contact our support. Why do I get an error saying "License Key already used" when I try to activate DLL-files Fixer? This error occurs when you have already used your license key in the past. I cant get the Fixer to work! I don't know what is wrong.. The DLL-Files Fixer is designed to work all all types of computers running any form of Windows from Windows XP SP3 and later (including Win8.1). As with any software, however, certain issues can appear on various systems. Troubleshooting is the key! Scenario: The Fixer installs well, but when running it, the Fixer doesn't display correctly. I get blank screens with no content! Scenario: The Fixer installs ok, but when I try to register my key, or want to download a .dll file, I get an error telling me to check my internet connection. Why does it say that I don't have an internet connection when I try to activate DLL-files Fixer? This is usually caused by firewall and/or antivirus software. You can add the DLL-files Fixer to the ignore list which is a common feature of most such software, or you can disable your antivirus program for a few minutes while registering the DLL-files Fixer. I have bought the DLL-files Fixer Premium Version, but it still asks me to register before fixing the errors! What if the DLL-files Fixer doesn’t solve my DLL file problem? If the DLL-files Fixer doesn’t immediately solve your DLL error, please contact support so we can help you solve your problem.